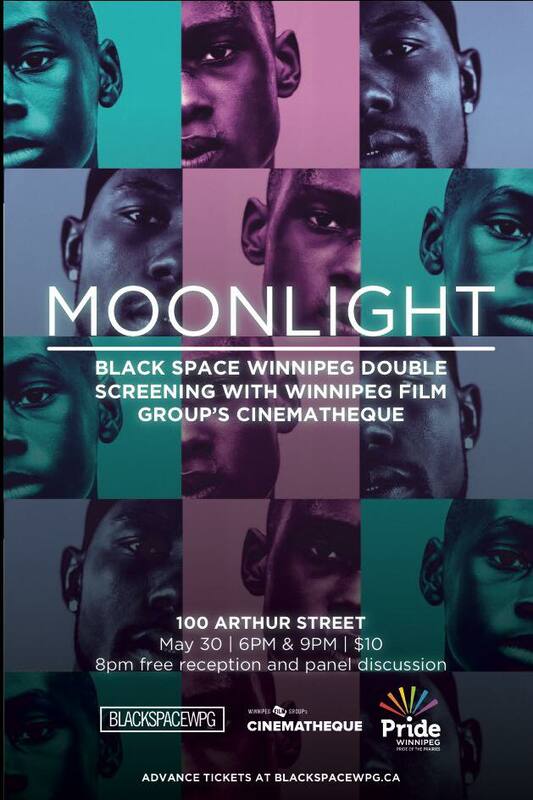 Black Space Winnipeg in partnership with Winnipeg Film Group's Cinematheque is pleased to present Moonlight, on Tuesday, May 30, 2017. Black Space Winnipeg celebrates Pride Festival this year with support from Pride Winnipeg and Outwards Magazine. Moonlight, directed by Barry Jenkins is based off the Tarell Alvin McCraney's semi-autobiographical play, In Moonlight Black Boys Look Blue. The film charts the life of Chiron across three defining chapters of his life – starting out as a young Black man growing up in turbulent Miami, it follows his ongoing struggles with his sexuality and unstable family life. This Academy Award-winning film (Best Picture), explores identity, through Black culture in its relation to queer identities. Pride Festival takes place May 26 - June 4 and offers a variety of events and activities that promotes and celebrates the LGBTTQ* community. Though Pride Festival attempts to create diverse spaces, there are times where the LGBTTQ* community is not always inclusive for all members. Black Space Winnipeg hopes to address issues of race, social isolation and prejudice within queer commentates/spaces for Black people. Each film screening is followed by a panel discussion in Platform Centre, where we hear from community members reflect on narratives within the film. You can catch this double-feature (6pm/9pm) and free panel/reception at 8 pm. Black Space Winnipeg recognizes the unique challenges imposed on Black people in the LGBTTQIA* community, we hope to provide a platform and safe space to explore authentic conversations for 2017 Winnipeg Pride Festival. Visit our Eventbrite Page to purchase tickets. We appreciate your support, should you have any further questions please contact us at: blackspacewpg@gmail.com.